Appendix is small and tube shaped organ located right side of your lower abdomen and it is linked to the large intestine. Though there are several theories about its functionalities, but still no one can ensure its accurate function. Without this organ your life is not incomplete at all or you will not die without it. So, when the problem arise like appendix pain as known as Appendicitis or required a surgery in large intestine to remove it then it may also remove the appendix from the body because it is linked to the large intestine. So, the questions may arise to your mind, what actually an Appendicitis is, why it occur, symptoms of it and how you may be sure of it. But most important, how you get rid of Appendicitis. 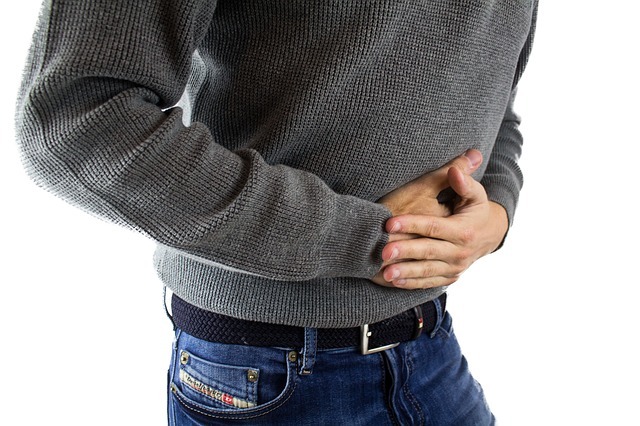 So, in this article I am going to give you all kind of details related to Appendicitis including early signs, diagnostic and treatment methods mostly applied for treating an Appendicitis patient. Appendicitis happen due to inflammation of appendix, sometimes a patient with Appendicitis may feel acute or chronic pain in abdomen. It is a very common disease that several human being around the world experience it at some point in their lives. There is no age group for this disease but mostly it happens between 10 to 30 years people and generally it’s common to men than women. You can get relief from Appendicitis if treated, if not treated than it can cause your appendix to burst and infection may grow which can be fatal and life threating matter. Though Appendix is laid in the portion of abdomen, we did not give proper attention to it, thinking of that it could be some abdominal pain caused by gas or indigestion. That’s our first mistake and for that we have to face a lot of hassle and suffer for a long run. So, we need to assess some facts to identify Appendicitis and if pain is getting worse day by day than without delay see a doctor and he will diagnose at first and after confirmation of Appendicitis he will take necessary steps to treat it. For diagnosing, a doctor may do it by a physical exam like pressing several portions of your abdomen, then he can order you to do some tests including blood tests (CBC), urine tests or some imaging tests – MRI, X-ray or ultrasound to find out the condition of your Appendix and to check out is there any infection or have an abscess grow on it or any other complications on there. Appendicitis can start as an ambiguous stomachache close to the navel. This pain may advance to the lower right half of the guts. After that a patient with appendicitis may feel some of below problems or all of them including – a high fever, nausea and vomiting, loss of appetite, constipation, diarrhea etc. In this condition, try to reach your doctor as soon as possible and he will take above mentioned necessary steps and start the treatment. Though the reason for an appendicitis is obscure. There can likewise be various reasons for one instance of an appendicitis. Specialists trust a block or obstruction in the appendix may cause an appendicitis. Obstacle might be either fractional or complete. Complete obstruction is a reason for emergency medical surgery. At the point when there’s a block or obstruction in your appendix, bacteria can affect the organ. This prompts can form PUS or grown an abscess. The expanded weight can be painful. It can likewise pack other local veins. A lack of blood stream to the reference section may cause gangrene which may cause huge suffering for a patient. Final words, if you have an appendicitis, you’ll likely be hospitalized and alluded to a surgeon to remove your Appendix and the procedure is known as appendectomy. Other medications you may need, before the surgery or after the appendectomy to control the pain only prescribed by your doctor. Appendectomy is a minor surgery and the patient may heel quickly and can return to his or her regular work within a very short time. At last, a free advice, in the event that you speculate you may have an appendicitis, you ought to abstain from taking intestinal medicines or laxatives. These medications may make your appendix to burst in case you’re encountering an appendicitis. Be cautious and stay healthy & happy.